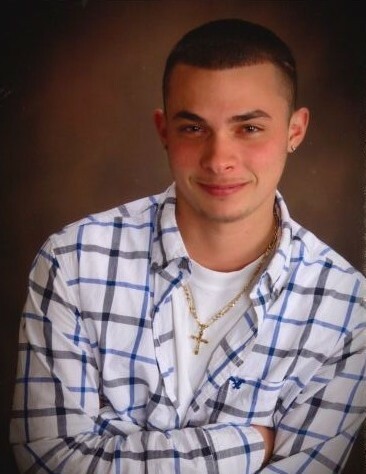 Obituary for Todd Cozza | Scala and Roefaro Funeral Home, Inc.
Mr. Todd Cozza age 24, of Utica, passed away on Sunday November 11, 2018 at St. Elizabeth Medical Center with his loving family by his side, as the result of a motor vehicle accident. He was born in New Hartford, NY on September 4, 1994 and was a 2012 graduate of TR Proctor High School. Todd was employed as a Certified Tow Truck Operator and was also an exemplary Auto Mechanic. Surviving are his cherished daughter Giada Cozza and her mother Chelsea Farrell; his beloved mother and father Sabrina and David Cozza; his sister and brother-in-law Samantha and Joshua Austin; one brother Paul Cozza; his beloved niece Jaida Austin; his loving grandmother Jeanette Scalzo; and several aunts, uncles, cousins and dear friends especially Paul Dewey, Colin Schoen, Derek Sykes, Tyler Heinrich, John Barnekow, Matt Schirippa, Salvatore Rotundo, Adam Delfini, Brandon Dimambro, a special uncle Tom Jenkins and his canine companion Vito. He was predeceased by his grandparents Salvatore Scalzo and Daniel and Sara Cozza and his uncle Paul Cozza.